The obvious state of the nations of the world should concern Christians, but infinitely more, the state of the Christian church today. The church, like the world, is inundated with pride, immorality, greed, and a host of other sins. Many believers claim they want revival, but few are willing to pray for it. The kind of change we need—radical and life-giving—will only come from the Lord. We must seek Him in prayer for revival (Hosea 10:12). He is waiting for repentant, surrendered hearts. So why aren’t we praying for revival? 1. We Don’t Understand the Meaning of Revival. Dissect the word “revival,” and its elements include re- (which means “again”) and -vive (or “life”). In revival, the God of life (Job 33:4; Deuteronomy 32:39) who gives believers eternal life (1 John 5:13) takes all the dead or broken places in their hearts after salvation and breathes life into them again—overcoming darkness, bringing light (John 1:4-5), and restoring as only He can. Revival, in many ways, reproduces what the believer experiences in salvation. Both are motivated by the Holy Spirit, creating an awareness of the spiritual need that only God can meet. The Christian chooses to respond from the heart, acknowledging that need, and God pours out His mercy and grace. In salvation, there is a new relationship with God; in revival, there is restored fellowship with Him. Where salvation is more closely associated with our justification with God in Christ, revival is related to our sanctification—being made more holy and more like Jesus. With this in mind, why wouldn’t a Christ-follower pray intentionally and continually for revival? 2. We Are Content with Less than God Desires. Many Christians are too content to co-exist with sinful attitudes, beliefs, and behaviors—too satisfied to live with slow progress into Christlikeness. Perhaps they’ve become weary in their Christian walk. Maybe they are overwhelmed or simply distracted by the lure of the world. It could be they’ve become complacent and passive about the things of God. One thing is certain: when God manifests His presence in revival, it changes everything! Maybe we simply don’t understand or believe how our prayers might move God’s hand. Perhaps we need to study past revivals to comprehend what happens in genuine revival through prayer. Start with the 1904 Welsh revival and the 1948-1952 Hebrides revival. Study the story of Jeremiah Lanphier and the 1857 revival born in a prayer meeting. Read Richard Owen Roberts’ Revival or Leonard Ravenhill’s Why Revival Tarries. If we dig a little deeper, we might develop a thirst for righteousness and cry out to the Lord for His presence. We must never be content with less than God desires—revival in the hearts of His people. 3. We Are Too Self-sufficient. As Christians, we may think we can manage our personal journeys without God’s involvement. There is much we can do to cooperate with the Spirit of God in changing us; but with an independent spirit, we can become self-reliant and self-sufficient. When we fail to see how hopeless we are without God working in our lives, why pray for revival? 4. We Are Too Busy. We have so many conveniences that give us more time, but we often use that time unwisely. What would happen if we stopped being so busy with our own plans and asked God for His? I’ve experienced genuine personal and church-wide revival. It upset everything! Schedules were tossed, appointments were canceled. Many churches fear this. Revivals can be costly in terms of personal and corporate agendas. But God does unexpected things in the midst of His people when revival comes. 5. We Want Me Time, not Knee Time. One of the biggest hindrances to revival praying is our blatant selfishness. We want more me time—more self-indulgence and personal agendas—than knee time with God. Praying for revival interrupts our plans. John Avant, Director and President of the Life Action Division of Life Action Ministries, was formerly a pastor in Brownwood, Texas where a revival broke out touching more than 100 college campuses. Avant said, “None of these people [in what came to be known as the ‘Brownwood Revival’] knew their time on their knees was going to result in a great move of God.” Yet, prayer was essential, crucial, to God’s work in that revival. 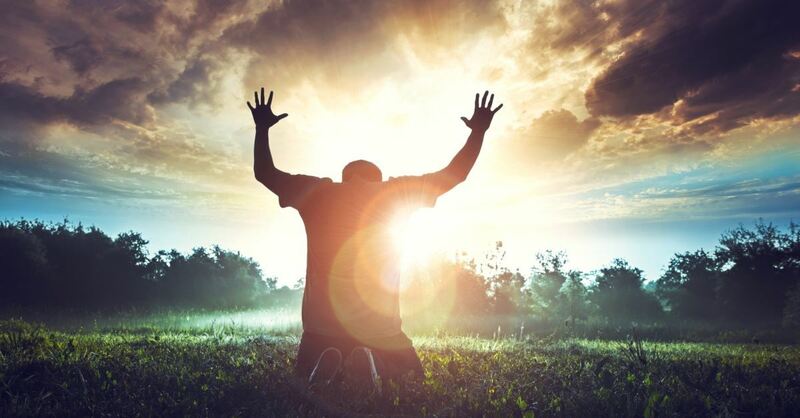 The power of God’s presence, Christians’ personal humility and repentance, and even one person who is willing to get on their knees and be part of a praying remnant—these are elements of great awakenings. 6. We Look for Escape, not Revival. Many Christians are simply waiting for the “upper-taker”—Jesus and the snatching away of the Church (1 Thessalonians 4:13-18; 1 Corinthians 15:50-54)—if not the undertaker. We want out. We don’t have a clear vision for the urgency of revival. Perhaps we don’t understand God’s heart for the world and how much He wants to redeem fallen mankind. He longs to save, but people will have none of it (John 3:19; John 5:40). God also wants to revive His church, but we’re not on board. “We stand at a precipice in our culture and in the church,” Paulus said to me, “that can only be crossed through prayer.” It takes awareness of the need, and then courage to confront that need through prayer—first for ourselves, and then for our churches and nation. In other words, rather than run from the confusion that assaults us, portrayed so flagrantly in the media, we can use cultural circumstances as catalysts for revival praying. 7. We Don’t Want Change. Status-quo Christians won’t pray for revival: “I like things the way they are, thank you.” Revival makes people uncomfortable, but that’s part of its purpose. Clinging to pet sins and familiar ways of doing things is not the way of revival (Isaiah 55:8-9). Revival means change. But we don’t want change; we don’t want God to interfere with our routines. We give lip service to revival, but we know God may ask us to surrender our hearts, and that’s a costly prospect. “I want revival, Lord—for my husband, for my co-worker, for my neighbor. But don’t revive me just yet.” That’s the voice of a rebellious heart. We still want to call the shots. Pastor Joe McKeever explains what true revival looks like: when revival comes, people confess sins to one another, homes are changed, forgiveness is sought, people are swept into the kingdom, and sometimes, even so-called “Christians” become true Christ-followers (Matthew 7:21-23). But these things don’t normally happen when God’s people haven’t asked Him to move—when they refuse to humble their hearts, seek Him, and turn from their wickedness (2 Chronicles 7:14). 8. We Don’t Recognize Our Great Need. Revivalist Del Fehsenfeld, Jr., said, “Revival, no matter how great or small in its ultimate scope, always begins with individual believers whose hearts are desperate for God.” When we don’t recognize our great need, we likely won’t pray for revival. We’re not desperate enough. Do we tolerate personal sins while judging others’ sins? Are we thankful for (even overwhelmed by) God’s mercy, grace, goodness, and kindness? Do we sense God’s presence when we read the scriptures? Are we in awe of God’s attributes, character, and power? Do we have zeal to reach the lost? Do we truly adore, worship, and obey our sovereign Lord? Recognizing our great need can lead us to revival praying; but the opposite is also true: revival praying can lead us to understand our need and repent. While revival praying begins with the individual, the power of united prayer must never be dismissed. I grieve that churches have time for retreats and conferences, but the “Wednesday night prayer meetings” of the past have gone by the wayside. We begin our prayers for revival in our personal prayer closets, but we shouldn’t wait too long to come alongside others with the same heart. Revival praying is hard work because we have a powerful enemy. Satan hates revival praying. We must “agree” together (Matthew 18:19-20) and encourage one another to wear our spiritual armor and do battle with courage on our knees.